Baseball great Yogi Berra died Tuesday of natural causes. He was 90. 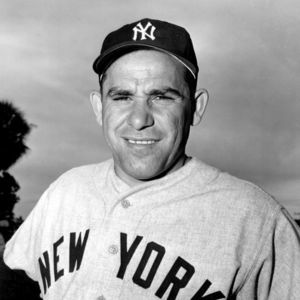 Berra was a New York baseball stalwart, playing for the Yankees for most of his career and the Mets for a single year, then later coaching and managing both teams. But he was born May 12, 1925, in St. Louis, Missouri, the son of Italian immigrants. Add your thoughts, prayers or a condolence to Yogi's guestbook. "I am truly sorry for your loss. Please know that our Loving Creator never intended for death to be a part of life. He assures us, " the last enemy death will be brought to nothing. " 1 Corinthians 15 : 26."